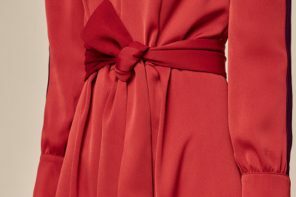 As I’m sure you are aware, the Marni for H & M collection drops (fashion retail term!) on Thursday, which is making me more excited than is healthy for a woman my age, who should quite frankly realise that there is more to life than odd shaped jewellery and a random collection of mis-matched prints! 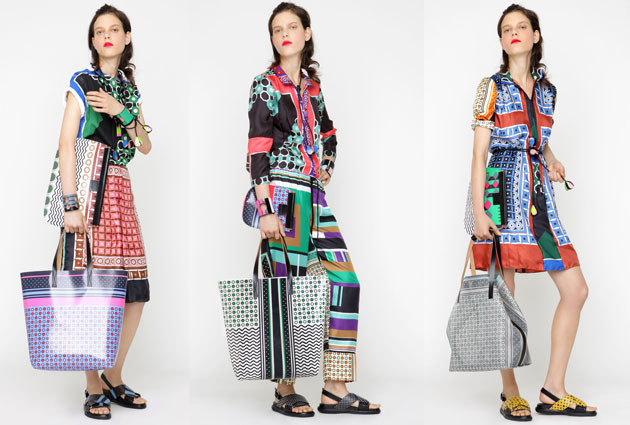 But as any true Marni addict knows, random mis-matching and odd proportions are what makes us love this wonderfully eclectic brand so much. 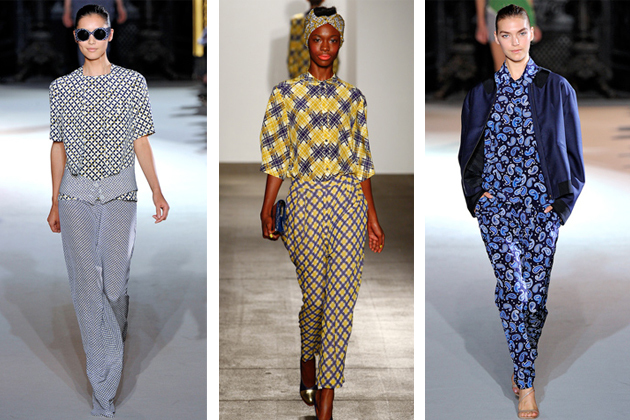 Marni are having a bit of a fashion moment and have influenced more than a few other designers for Spring/Summer. So the opportunity to purchase more than one item, means I will have my finger poised on the buy button on the H & M website on Wednesday night and could quite possibly be getting slightly violent at Stratford, Westfield early Thursday morning. So if you are thinking of going along, I would strongly advise against it! 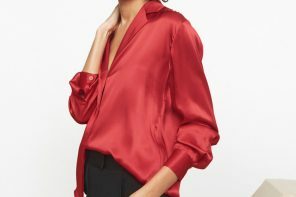 Unless you have been stranded on an unfashionable desert island or in prison, you can’t fail to have noticed that this season is all about print, be it the oversize floral, the bold geometric or the pyjama foulard, everyone has a printed pencil skirt and/or trouser in their range. As this is a trend that is not going to go away for a while, we are going to have to figure out how to embrace it. 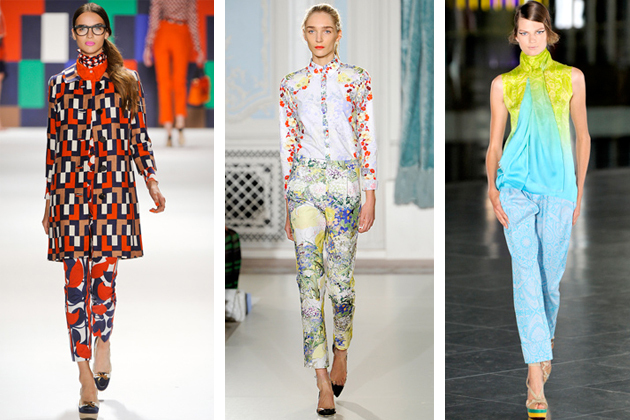 The truly fashionable will be wearing print from head to toe, either the same print or several different ones in odd clashing, yet complimentary colours (please try to keep up here – this trend isn’t easy!). This is ok if you are Iris Apfel or Grayson Perry but it’s a difficult look to carry off as one gets older, unless you want to look like the mad woman no-one wants to sit next to on the bus – although personally, this is a look I’ve been cultivating for years! I have put them on twice since, only to take them straight back off again. Often this happens with a new trend, one has to have a few attempts in order to get it right. Fashion doesn’t just happen people, sometimes you have to work at it! Certain looks require a bit more thought than others to pull them off, as what was fabulous when you were 20 can look desperate, or just downright ridiculous, when you are 40! Flowers, geomtrics and foulards are fine, but stay away from animal print of any kind, unless you want to look like Jackie/Joan Collins or an extra from TOWIE. Aztec prints are for young people only, or those still high from something they took at the peak of late 80’s acid house – so not a good look! Ethnic prints in harem or wide leg shapes have hippy connotations and even if you live in Goa, there is no excuse for looking like a yoga teacher! If you go for an ethnic print, choose a slim leg shape for a contemporary look and accessorise well. Be careful what footwear you choose, heels are ok if you are wearing a slim, cropped trouser, but wide legs should always be worn with flats. Please remember this, it’s the law. Only women in orchestras can wear wide legs with heels, I don’t why this is, but it just is! If you choose a oversize floral print with a dark ground, wear the same dark colour on top, to balance the outfit. Perhaps even wear shoes in the same colour, in this case matchy matchy is ok, in fact it’s preferable. 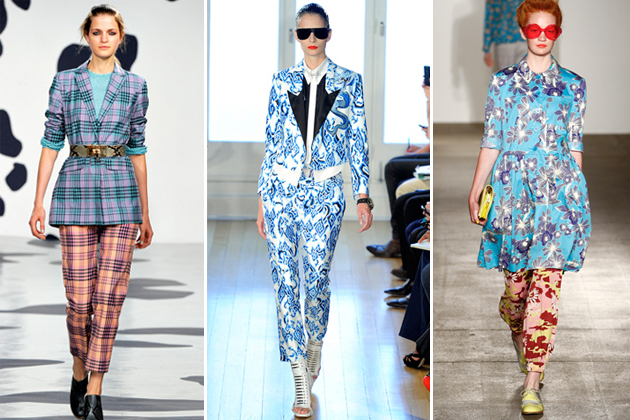 When wearing any small scale foulard type prints, wear a plain structured top, not something floaty. 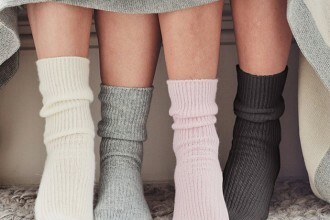 You may feel comfortable, but you are in danger of looking like you are in your PJ’s and we all know how wrong (despite what the fashion press are saying) this is. No-one will take you seriously in a work situation if you look like you’ve just stepped out of the John Lewis sleepwear Department! In the interests of keeping you informed, we have trawled through the selection of patterened trousers available at the moment to bring you a few of our favourites. If subtle is the look you have decided on, then go for the Cos jaquard pair at £79. They say ‘I am am aware of fashion trends but am not a victim’, and you will be taken seriously in a meeting. We also quite like the oversize florals from ASOS, which have a black ground, therefore easier to wear. 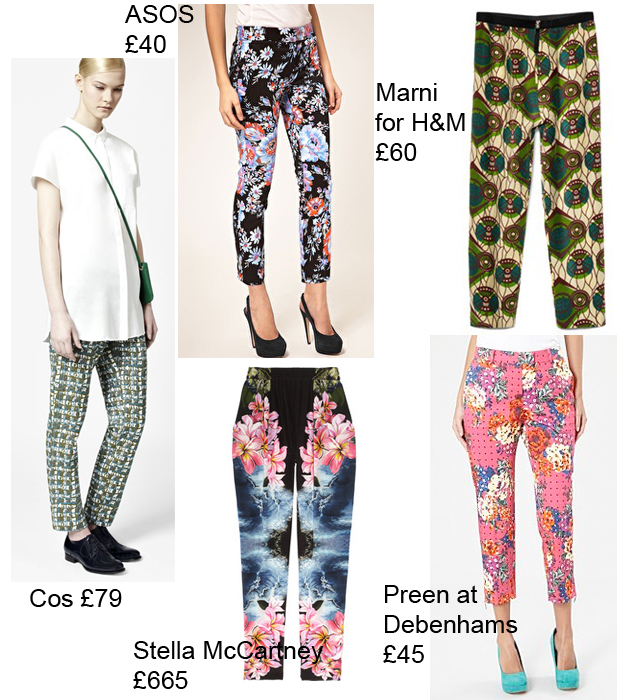 The Stella McCartney Hawaiian pair clearly “influenced” the ASOS style and are probably lovely quality, but spending £665 on a pair of trousers that will be out of fashion in two years time (if not before) clearly says, ‘more money than sense and go and work with some homeless people’! We are reserving judgement on the Marni for Hennes pair until we have seen them, but they are on our purchase list so we will let you know what we think. And finally I am loving these slightly bonkers spot and floral slim legs from Preen at Debenhams. I spotted them on a rail in the Debenhams design studio a while ago and think they are going to be my choice for the ‘nan on acid’ look this summer! Love, love, love these jazzy trousers! Whistles have a nice pair too – http://www.whistles.co.uk/fcp/product/Whistles//Wisteria-Print-Trouser/903000057866. Yes love those too Tessa! Remember back in June when I posted about Athleisure being a “thing”. Well this is the time of year when it really comes into its own….